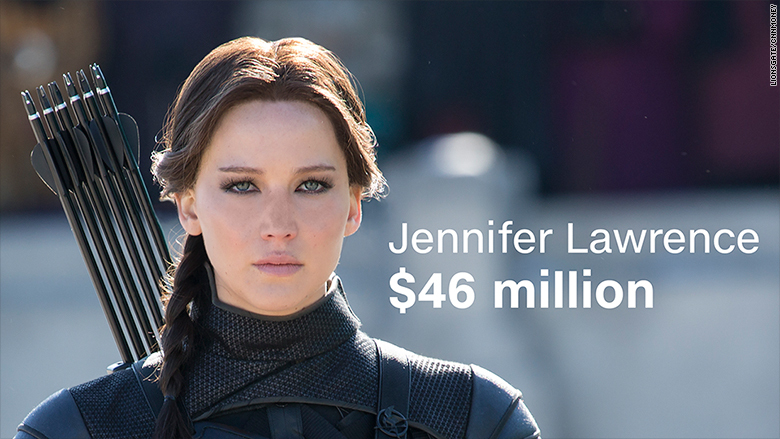 She can thank Katniss Everdeen, the archer survivalist she plays in "The Hunger Games" series from Lionsgate. The fourth and final installment ("Mockingjay -- Part 2") hit theaters last year. Forbes said she got an impressive piece of the movie's massive box office gross of $653.4 million, and she also got a nice payday from "Passengers," a movie that's coming out this year. A study earlier this year by the Annenberg School for Communication and Journalism at the University of Southern California focused on the inequities of Hollywood and its "diversity problem." The study said women only had 28% of speaking roles and were sexualized far more often than men.